Hellooooo, hi… How are you??? It’s been a minute since I’ve updated my skincare & body routine. But like… life. Right?! I get a bunch of DMs & emails asking me about my skincare routine and to detail exactly what I use, recs, etc. I’ve shared before what my skincare looked like during weekdays and over the weekend, and you guys LOVED that post. But I feel it needed a refresher since I keep adding, trying and changing what I use. Finding new and exciting beauty products is one of my favorite parts of my job! If you follow me on Instagram you’ve probably seen some of these products in my stories, but I loved them so much I wanted to share more about them on the blog! 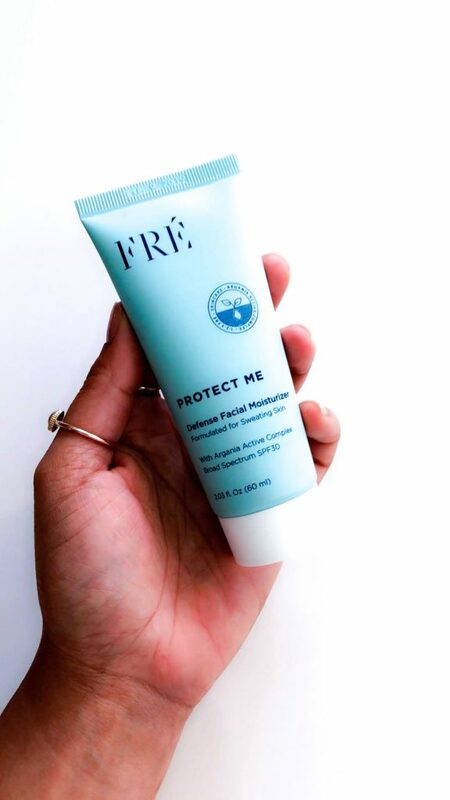 I’ve been using this moisturizer + SPF 30 protector from FRÉ and I LOVE it! Especially because it was designed for a skin that sweats but still, it lets my skin BREATHE… since I try to hit the gym daily, this is super important for me. I feel like it transforms my sweat into glow Lol no joke! FRÉ is 100% vegan and cruelty-free + it’s super cool that for every 123FRÉ set sold, an Argan tree is planted to empower the women who harvest the Argan oil in Morocco and give back to nature. 5,000 trees have already been planted this year… I stan them HARD! So GO NOW to FRÉ, and use my code CANDYNAMI to get a sweeeet 15% OFF. You’re welcome! First off, can we just talk about these eye gel pads? I feel like you already know about my obsession with them if you follow along on my insta-stories. These pads are LIFESAVERS whenever I need to look like a decent human being in just a few hours of sleep which honestly, it’s VERY common with me! They’re from a brand called Skyn Iceland which is one of my fav vegan, non-toxic & cruelty-free skincare lines. 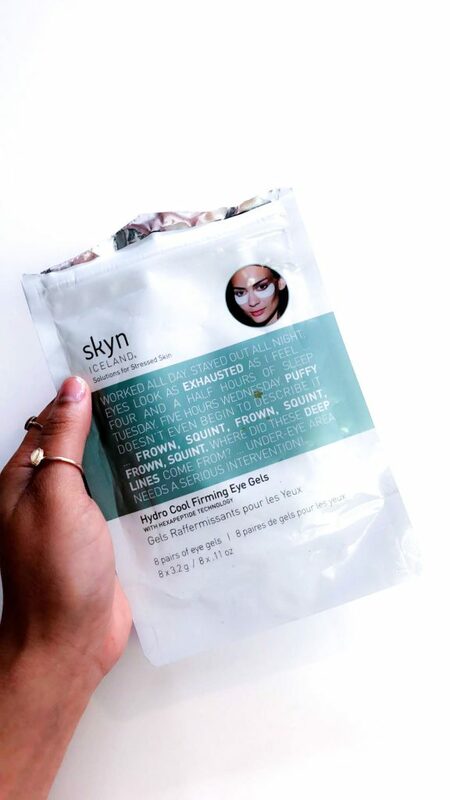 All Skyn Iceland’s products are free of parabens, petroleum, mineral oil, chemical sulfates, and phlathates + dermatologist tested for sensitive skin. 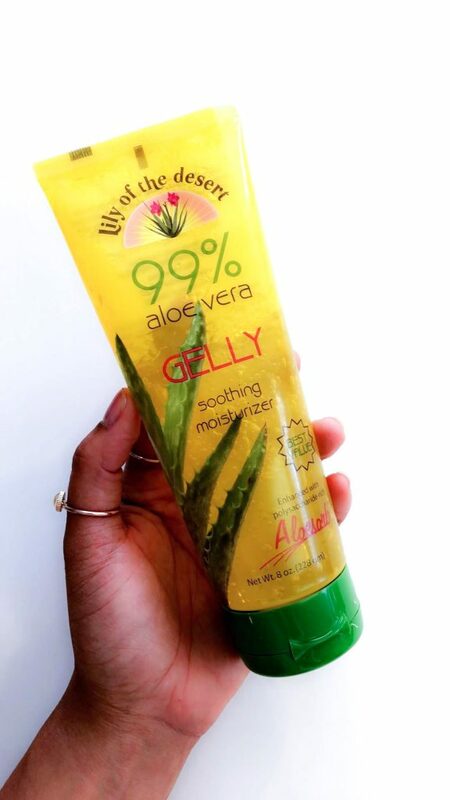 This aloe gel is God sent! I practically use it every day as well (at night). It’s so refreshing… I typically use it after I have moisturized and allowed my skin to absorb it. Then I use the gel generously all over my face and neck. I also use it for my weekend facials, when I’m using the high-frequency wand to help to tighten my skin, fight any acne I may be battling at the time. 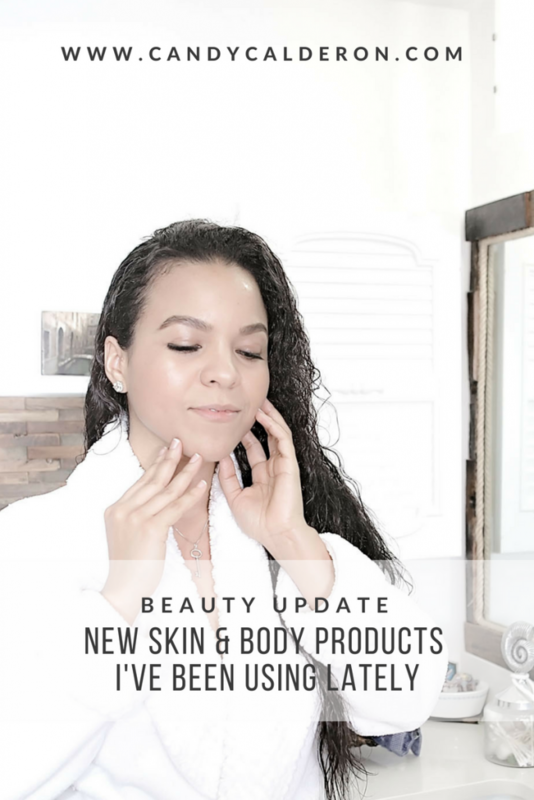 You can read more about how I use the wand in PART I of my skincare routine. I cannot, I repeat, I CANNOT explain how crazy I am about this oil! Been using Sōl by Epicuren in my body for a month now and I’m just in owe. As a crystal lover myself, just the fact that this oil is infused and super-charged with citrine and has an ACTUAL citrine gemstone inside the bottle just blows my mind! 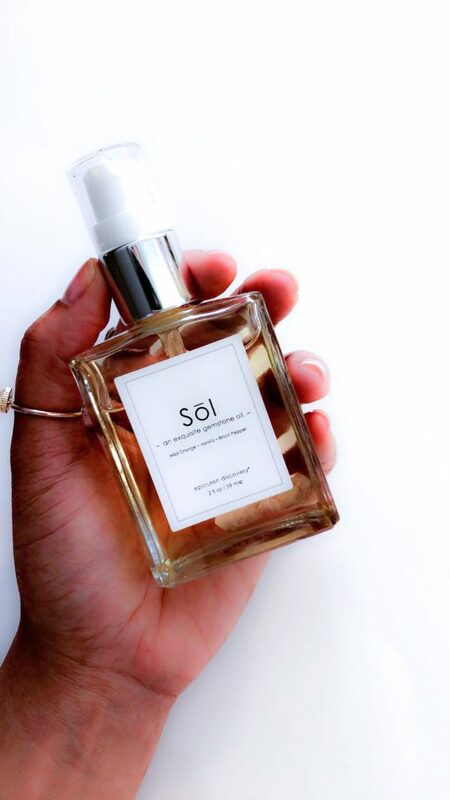 This body oil is hydrating, illuminating and feels just soooo lush on my skin + It’s packed with tons of vitamins and antioxidants, organic Sunflower and Camellia oil absorb quickly to deliver moisture to the skin while Avocado and Almond oil assist in keeping the skin’s protective barrier healthy and vibrant. Citrine is believed to be of value in healing the spiritual self as well, as it is a powerful cleanser and regenerator. It carries the virtues of self-healing, inspiration, and self-improvement. Note: Epicuren is a cult favorite of celebs from Kate Bosworth, Kate Hudson to Jennifer Lopez (a.k.a. Mom) and whatever is good for Mom, is good for me! Saje has slowly but surely become also one of my go-to brands for clean body, skin and household products! Vegan, cruelty-free (no animal testing), no synthetics… you get the memo. 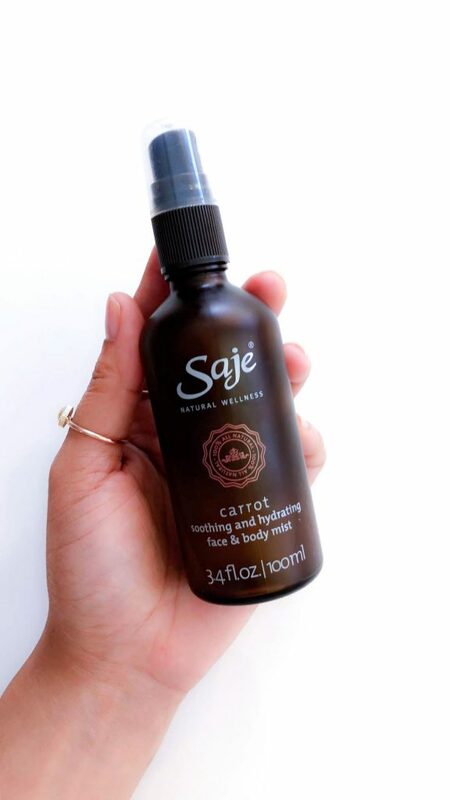 I’ve been LOVING their Carrot Soothing & Hydrating Mist, it’s so refreshing and leaves my skin super glowy + I love that besides the carrots, it has chamomile which is PUUUURFECT to calm an irritated skin. This one is a keeper! HOW I USE IT: You should know I like to mix it up… so I use it always right after washing my face (day & night) and then proceed with any moisturizers and oils I might be using that day. BUT, I also mist after I’M DONE with my skincare routine, AND I also mist right after I’m done with my makeup OR in the middle of the day when I need a pick me up. You do YOU. They ALL WORK! –Moisturizer + SPF 30 protector from FRÉ use my code CANDYNAMI to get a sweeeet 15% OFF! Ok, would love to know YOUR favorite products… I told you I love to stalk what you guys are up to, and skincare it’s like an OBSESSION of mine! Hope you babes are having a productive week! Can you recommend an at-home facial product to make at home or buy from the store use at home?